With respect to the kerfuffle over a statement by the IPCC on the Amazon, I have been somewhat aware of the various claims, counterclaims, accusations, apologies, threatened lawsuits, demands for even more apologies, demands for retracted apologies and overall stridency that is endemic to blog debates over climate change. I haven't discussed the topic on this blog, because I didn't really know enough to say anything about it. But I spent a bit of time over the weekend looking into the issue, and here in capsule form is what I learned. Rowell, A. and P.F. Moore, 2000: Global Review of Forest Fires. WWF/IUCN, Gland, Switzerland, 66 pp. http://www.iucn.org/themes/fcp/publications /files/global_review_forest_fires.pdf. The problem, as is now widely known, is that Nepstad et al. provide no scientific support for the claim "Up to 40% . . .". The authors of this report [Rowell and Moore] interviewed several researchers, including the author of this note, and had originally cited the IPAM website where the statement was made that 30 to 40% of the forests of the Amazon were susceptible to small changes in rainfall. Are you following this so far? Nepstad suggests that the IPCC statement as written was correct but that (a) Rowell and Moore missed some relevant citations, and (b) in any case, a more recent publication of his could have been used to support the claim being made by the IPCC. Let's address these in turn. (a) The claim made in Rowell and Moore appears to have absolutely no scientific basis at all. In The Telegraph, Christopher Booker summarizes a range of blog-reader/commenter-contributions to identifying the provenance of the statement on the IPAM website alluded to by Nepstad. The original source is simply a website, no longer live but found in the internet archives, and shown to the right. This is where the trail ends for Rowell and Moore. We can conclude unambiguously that the citation of Rowell and Moore by the IPCC was improper as it was not only "grey literature," but also devoid of scientific support for the claims that it advanced that were repeated in the IPCC. (b) So what about Nepstad's implication that his 2004 article could have simply been inserted into the IPCC sentence in question, and all would have been fine? I find this suggestion to be false. I have read Nepstad et al. 2004, and you can too at this PDF. There is nothing in that paper that can be used to support the "Up to 40% . . ." statement in the IPCC. Let me be clear -- that paper could have been used to support other statements, but not the statement which actually appeared in the IPCC. To put this another way, had the IPCC simply exchanged the citation of Rowell and Moore (2000) for Nepstad et al. (2004) the IPCC would have been equally as guilty of making a claim without support in the scientific literature. This is not to say that the specific claim made by the IPCC cannot be supported by the scientific literature, only that Nepstad et al. (2004) does not provide such support. That said, I cannot find any scientific support for the specific claim advanced by the IPCC (and apparently, neither can anyone else! Ironically enough, there is a trail leading from that very IPCC section to evidence counter to the contested statement). 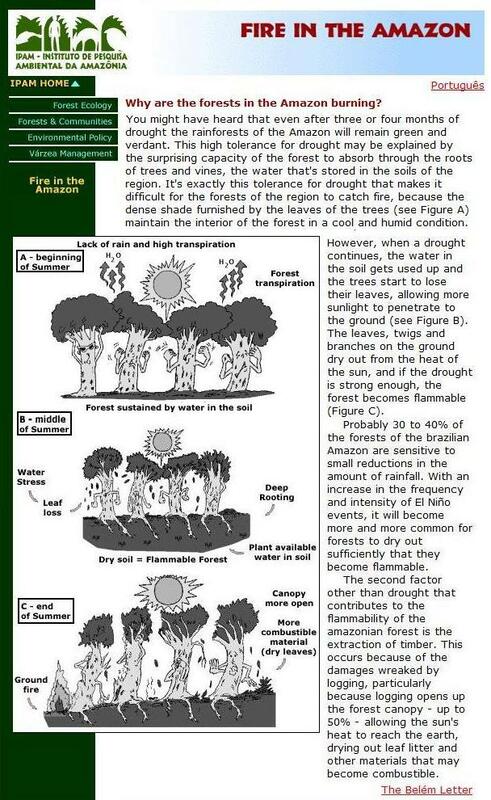 there is a wealth of scientific evidence suggesting that the Amazon is vulnerable to reductions in rainfall. The IPCC statement itself is poorly written, and bizarrely referenced, but basically correct. By "basically correct" Lewis explains that the Amazon is sensitive to rainfall and that reductions below a 1.5 m per year threshold can lead to massive tree die offs. Let me simply accept these statements as true, while noting at the same time what should be abundantly obvious -- these claims are not at all what the IPCC claimed. They are very different claims. 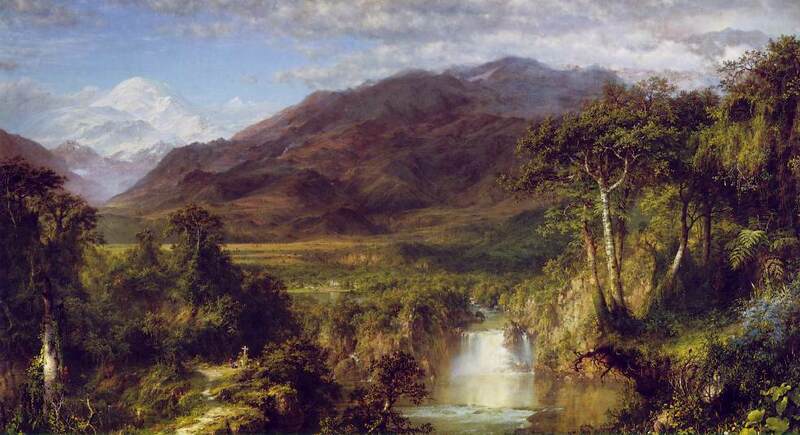 They both invoke the Amazon and precipitation, but they are substantively different claims. Again, substituting the two papers mentioned by Lewis for Rowell and Moore (2000) as sources for the contested statement would not make the IPCC claim any better cited or accurate. The IPCC would have to have written a different set of claims. The bottom line here? The IPCC did indeed make a claim in its report that is unsubstantiated in the literature that it cited in support of the claim. Further, the specific claim being made also appears to be unsubstantiable -- that is, there is nothing in the literature to support the specific claims being made. The IPCC could have said something else -- perhaps something even more alarming about the Amazon -- but it did not. For the IPCC this degree of sloppiness and lack of attention to accuracy is troubling. Those claiming that there is nothing to see here are simply wrong -- the IPCC botched this one. The various defenses of this issue are an embarrassment. The IPCC simply made a mistake. 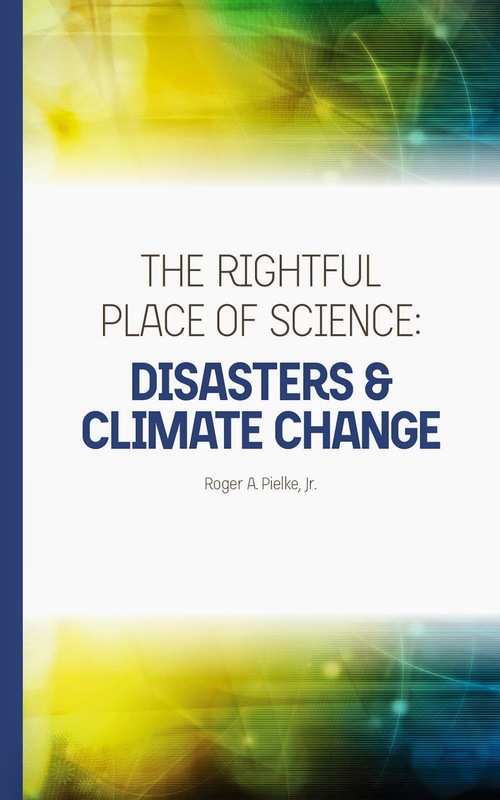 Pretending that it did not cannot help either the IPCC or the cause for action, and will likely have the opposite effect, as anyone who takes a moment to look at the issue, as I did, will see the same evidence that I did. At the same time, it should also be said that the breakdown here has to do with the fidelity of the IPCC assessment process and not the substance of climate science. That the IPCC botched this particular claim does not make its opposite claim true. The Amazon error in the IPCC occurred in almost the exact same manner as the 2035 Glacier error. It reflects a lack of attention to detail and accuracy, two criteria that one might think are the lifeblood of a process of assessment. In the end it may simply be an innocent mistake, but a mistake nonetheless. In this respect, both the Amazon and Glacier errors are far less troubling than the issue of how the IPCC has handled disasters and climate change, which goes beyond sloppiness. In my self-education on this subject I came across some other problems in that section related to the Amazon, including the laundering of grey literature in an apparent effort to escape the IPCC publication deadline. But that will have to await another day, enough mudding for me for now. Remember the "War on Science"? Has the Future been Foretold? Australia's Climate Policy: Where Now?